Welcome Samara from Tinyfry.com who will be guest posting for us today! Samara is sharing with you her tips on being a present parent. We all know that living in the present can help you enjoy the little things in life and this is ever so important in parenting too. Make sure to check out Samara’s blog and connect with her on social media. Details at the bottom of the post. Stress often makes us a bit detached in our day-to-day routine. However, kids learn a lot more from our actions than they do from our words, so always being somewhere else mentally is almost as bad as being somewhere else physically. We’re all guilty of it from time to time, but there are ways that we can work on being more present. Here are 12 essential tips to help you be a more present parent. There are so many distractions in our daily lives, but few are more distracting than the computer that we keep in our pockets. There is always something to do on your phone, and I know that I have been guilty of paying attention to it when I should be paying attention to my kids. The most important thing you can do to be a present parent is to be in the moment, which means no screen surfing. Take the time out of your day to pay your children compliments about who they are. Not only does this help boost their confidence and self-esteem, it lets them know that you are paying attention enough to notice their accomplishments. Compliments don’t always have to be on physical or intellectual accomplishments either; you can just tell them you love them and are grateful to have them in your life. It is so easy to get absorbed by life itself and forget to take time out to enjoy the simpler things. Kids are only kids for a short amount of time, so help them remember their childhood fondly. Take the time to make special trips to places like a zoo or even a park to enjoy some “in the moment” family time. One way we are often present yet absent at the same time is when we ask our kids a question and then think about other things as they speak. Be conscious of this! Ask them about their day and actively listen to what they have to say. Ask questions. Repeat what you heard to show them that you were listening. What do house rules have to do with being a present parent? If you’re busy making dinner, for example, and your child is breaking the rules, it’s easy to ignore their behaviour and keep doing what you’re doing. Neither of you will be happy that you had to stop to enforce rules, but it’s better for both you and your child in the long run. Reflecting on today can help you be a more present parent tomorrow, as well as appreciate the most “important” parts of the day. Keeping a journal is also a great way to vent about the day’s frustrations in a constructive way, to practice gratitude, and to plan for a more productive and more present tomorrow. Being a present parent is all about your kids, but to care for them, you need to care for yourself first. Caring for yourself and your babies at the same time doesn’t have to be challenging as long as you recognize the importance of taking care of yourself and make it a priority. By allowing your kids to be part of everyday tasks, like cooking and organizing the house, you are engaging them physically while being in the moment with them. Have them help you prepare dinner or walk the dog. Most of these tasks give you ample time to talk and teach – and it sets good habits for the future! Waking up before your children has so many advantages. Though it’s wonderful to get that extra shut-eye! 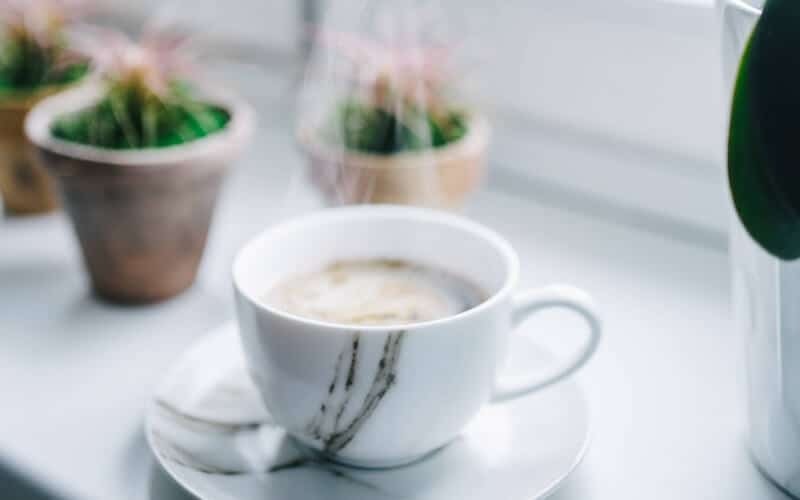 Being up before them sets an example, allows you to plan for the day, from breakfast to the day’s activities and to be alone with your thoughts for a bit before the day gets crazy. When you do wake them up, you will be more clear-headed and able to be present with them. This may seem obvious, but it’s not always as easy as it sounds. Ask yourself whether you’re always brushing your kids off. Make sure they know they can approach you with whatever questions they have and always give them honest and well-thought-out answers. There’s no better way to let a child know that you’re in the moment with them than through physical contact. A solid hug clearly tells them that you care, and you’re there. It’s hard sometimes to be in the moment with your kids when there are so many other aspects of life on your mind. Nobody is perfect, and every parent has regrets, but don’t be too hard on yourself. They aren’t kids forever, but tomorrow is another day to work on being more present. Your kids are always going to love you, and you will always love them no matter what. Like anything else you do in life, the more you work at being a present parent, the easier it gets and the more natural it feels. One day you’ll look back and realize how great of a job you did and the amount of happiness you created, in their lives and in your own. Parents have so much on their plate and being mindful and present with your children can often be forgotten. We are all moving so fast right?! 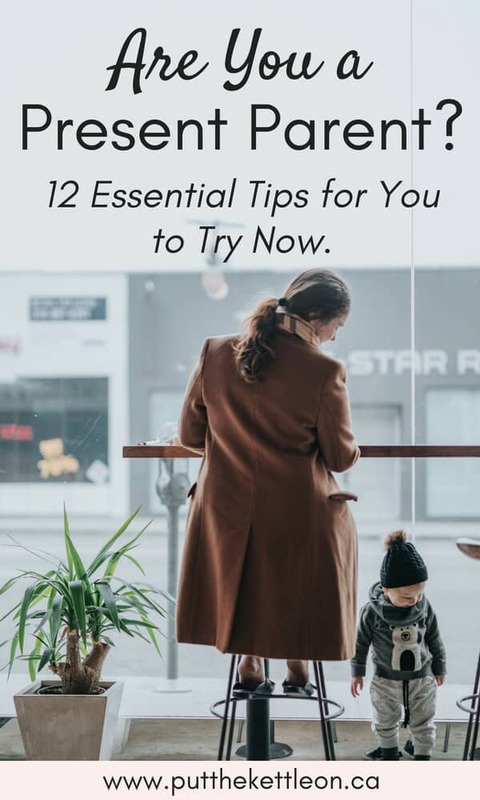 I hope these tips form Samara were truly helpful and enabled you to step back and really think about how you interact with your children on a daily basis. Samara Kamenecka is a VA specializing in SEO and writing, living in Madrid. When she’s not chained to her desk working, she likes to explore the city with her boyfriend, their two kids and their dog. 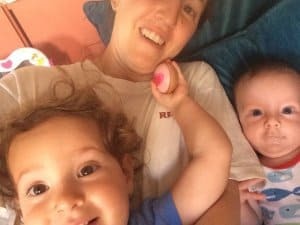 She blogs at Tiny Fry about everything from pregnancy gifts to parenting hacks. Samara also pins her heart out on Pinterest. Make sure to follow her here. Love this! I need to work on #4, 7 and 9 the most. 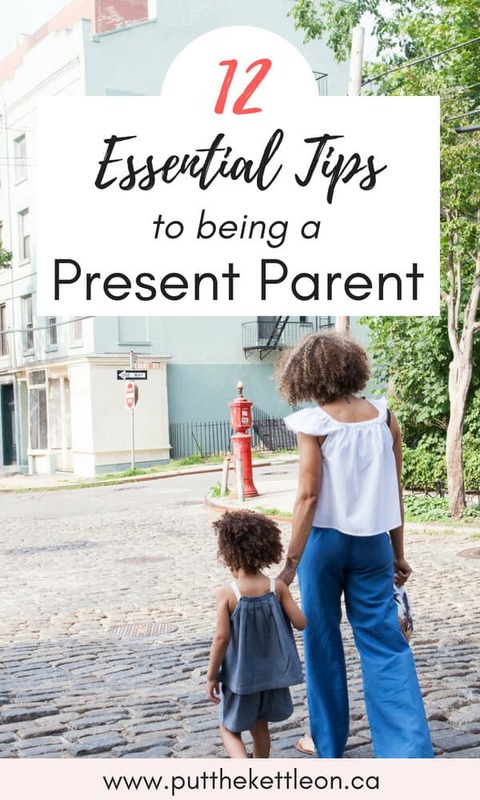 A great reminder and wonderful tips on how to be a more present parent. This is so great, thanks for the reminder. I try to always do all of these and make sure to put the screen down and really listen to him. Parenting is def tough, but so worth it! We never had this term when we were raising children. We talked to them, played games, went places, had fun, explored. Helped with homework, baked and cooked together. All kinds of things. The cell phone, iPad and internet didn’t get in the way. No tv. This is how I grew up and it made my childhood so wonderful. I think today we all need to learn to slow down a little and just take it all in! Awww, I love your tip to hug it out <3 My toddler is just so cuddly and I love it so much. This is a great post and really important for parents to remember. It can be hard when you are just so involved in the moment, to forget to do these little and simple things. Our kids just want our attention, they really could care less if the house is messy or not. The screen part is difficult in our society. I won’t lie I am always within reach of my phone. You have added some good advice here. I like the hug it out and don’t be too hard on yourself. This whole parenting thing is as all consuming gig! We need to let the guilt go as we do our best! Love these! I know this is so hard for every parent. There are just so many things to think about and handle that its so easy to forget to just sit and connect. This will be a good list for me to bookmark and remind myself! I loved this list. I think we’re all a little too hard on ourselves at times. But I also know I get sucked in to my screen at times. Something I’ve been trying hard to work on is letting my toddler help out with tasks. It takes us three times as long to get it done, but the joy it brings him to be able to help is priceless. Definitely keeping this list close to remind myself regularly the little things I could do to be more present with the kiddos, and really everyone in my life. These are awesome reminders.I loved this list. 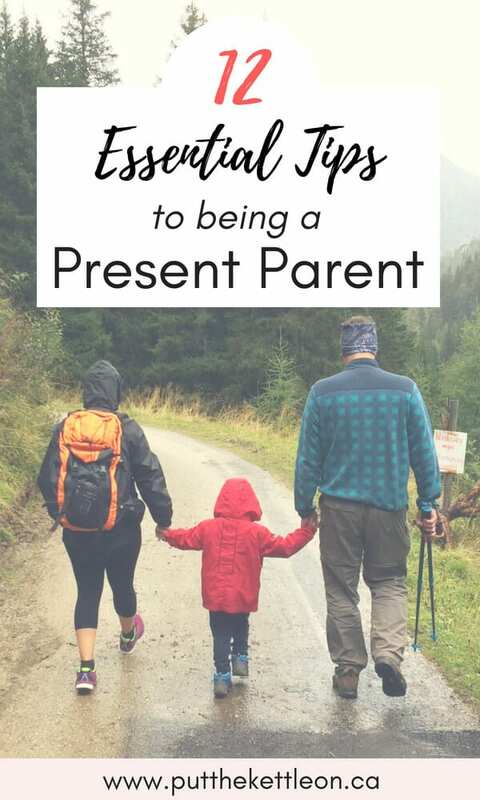 A great reminder and wonderful tips on how to be a more present parent. it’s a great way to keep present. Loved your tips, it is always good to remind ourselves that we need to be there in presence but also full soul and mind! Thanks so much Monica! Absolutely, being there in every way is the goal. I’m best at #8 and terrible at #5, but I’m working on it. Thanks for your wonderful suggestions!